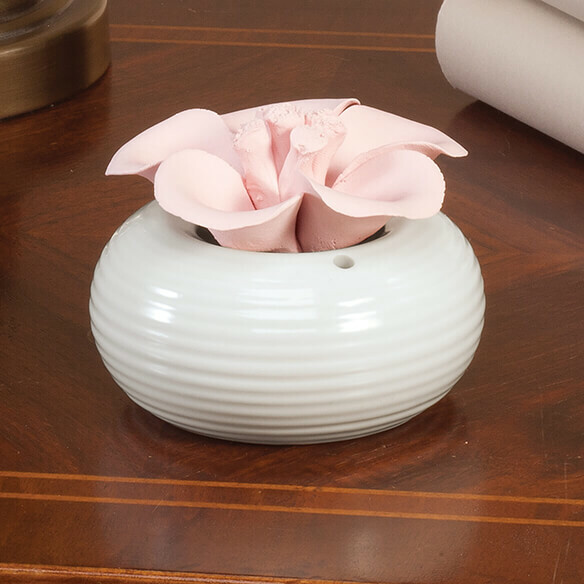 Ceramic flower aromatherapy diffuser silently adds your favorite scents into the air. Simply fill bowl with water, add a few drops of your favorite essential oil and place the flower on top. To increase scent, add a few more drops of oil directly on flower. Petite essential oil diffuser takes up little space and doesn’t require batteries or plugging in. 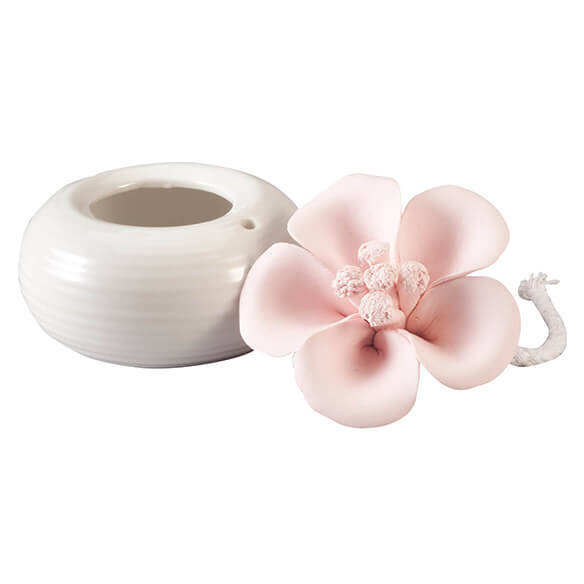 Aroma diffuser absorbs and releases fragrance and moisture through natural evaporation. 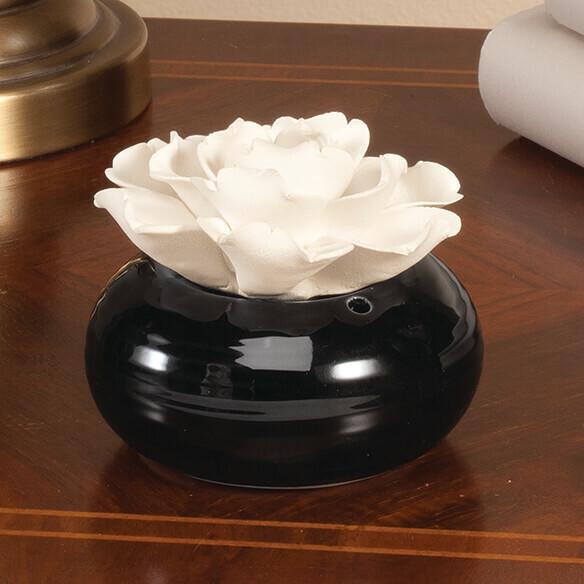 Specify color: gray with pink geranium, or black with ivory peony. Not too large or too small , it is non electric with a permanent ceramic flower , very easy to use just pour fragrance into the bowel place flower wick into solution and your all set. Thought it was pretty and can use the essential oils in it . I like this because it doesn't need electricity to work. It isn't electric and it's pretty. little extra humidity in the bedroom. This product leaves a fresh smell lingering I n a room. No fuss or bother. Really like it. NEEDED IT FOR OIL I ORDERED. I choose this item because of its small size and delicate beauty. This will be a good way to keep a diffuser in my bathroom without using much space and without using electricity. It doesn't use electricity so it can't start a fire. It's pretty. Hopefully, it will give my room a nice odor. It is a beautiful way to place a scent of my choosing into the air. It is visually pleasing.